Robert was the eldest of two sons born to Robert Nathan and Caroline Alice, nee Tofield, on 4th August 1894 and baptised on 7th October 1894 at St. Barnabas Church, Lambeth, Surrey. His father’s occupation was Architect. (Information taken from Parish Records). William James was Robert’s only sibling and was also born in Lambeth on 27th September 1899 and died in 1982. He married Daisy M Sheen in 1925 in the district of Camberwell. James, at the age of 17, attested on 28th August 1916 at Longmoor, Hampshire. His civilian occupation was an Apprentice Carriage Fitter. He gave his father, Robert Nathan, living at Rosslyn, 51A Westridge Road as his next of kin. William served in France apart from the period – 22nd June 1917 to 18th October 1919 – when he served at home. In 1901, the family lived at 31 Hayden Park Road, Wimbledon, Surrey. Living with them was Caroline’s mother, Alice Tofield, a widow born in 1838, Maidstone, Kent. By 1911 the family had moved to Southampton living at “Rosslyn”, 51A Westridge Road, Portswood. Robert Nathan’s occupation was Civil Engineer with the Railway Company. Robert Tofield was a student. Alice Tofield, Caroline’s mother, was still living with them. Education and Employment: Robert was born on 4th August 1894 in Lambeth. While at Taunton’s School he won an entrance scholarship to the Hartley University College. He had completed two years when war broke out. Life during the War: Robert’s father was employed by the railway, acting as an assistant engineer at Southampton Docks from March 1905 – when Robert began at Taunton’s. Robert belonged to the Territorials and as such, went abroad with the first detachment of the Hampshire Regiment. He served in the 1st/4th Battalion as a Sergeant and was killed in action in Iraq. He is remembered at the Basra Memorial. 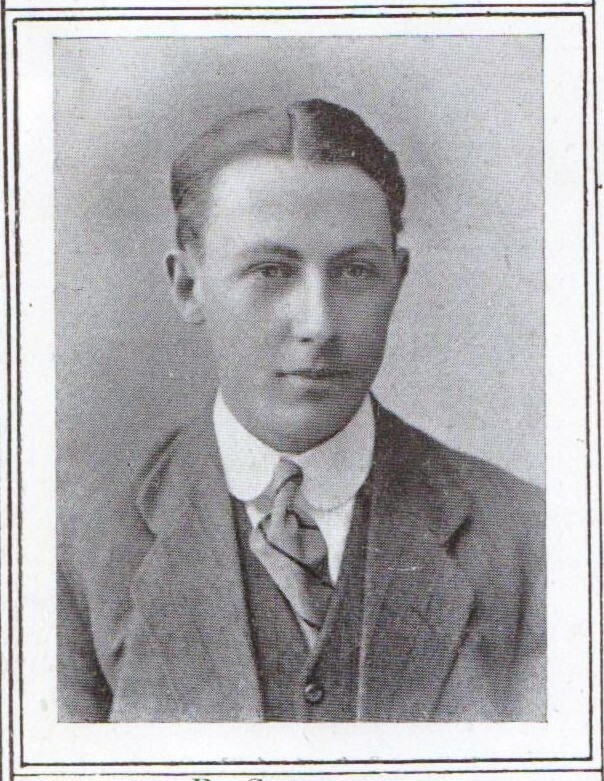 Robert died on 24th February 1917 aged 22 years. For his service to his country, Robert was entitled to the British War and Victory Medals.